Standard. 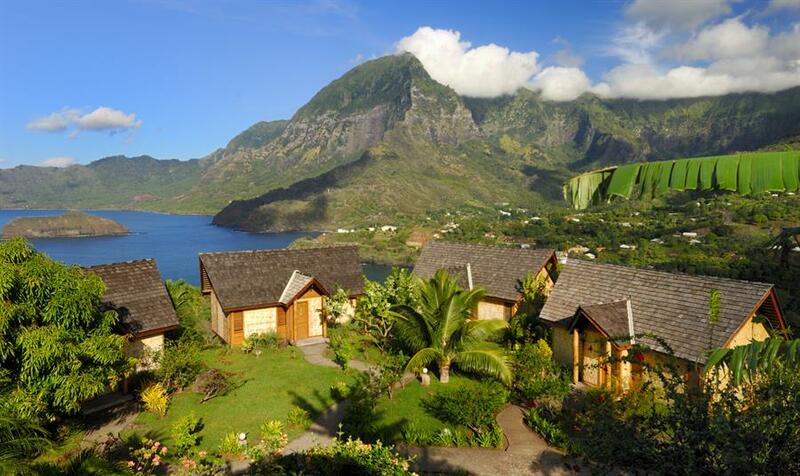 The resort faces Mount Temetiu (3903 feet) and offers amazing views of Traitors Bay, the Bordelais canal, the small island of Hanakee and in the distance the precipitous volcanic island of Tahuata. 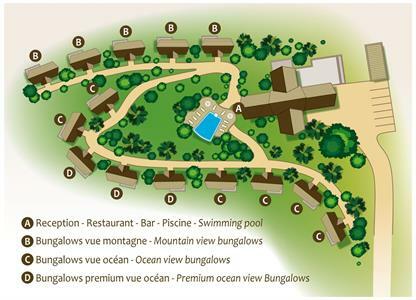 The 20 bungalows are perched hillside and nestled in the surrounding countryside. Each has the individual touch of one of twenty local artists and sculptors. 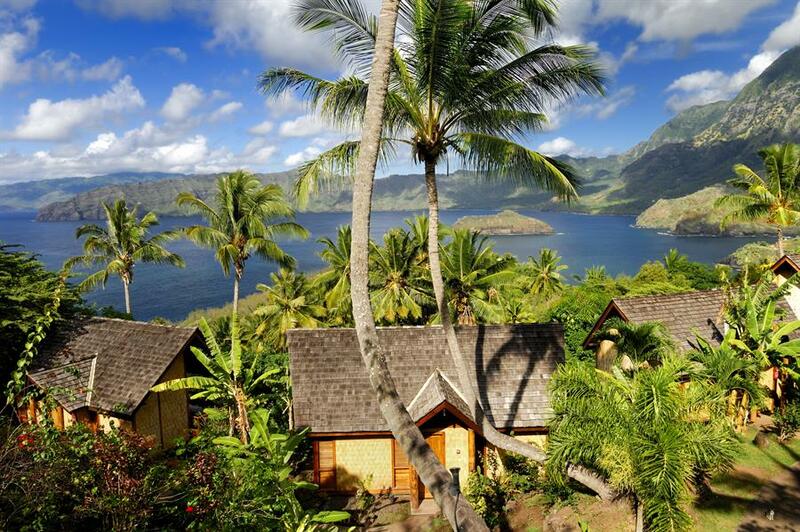 Room facilities include air-conditioning, a mini-bar, in-room safe and television. The lodge features a swimming pool, bar, restaurant and library. 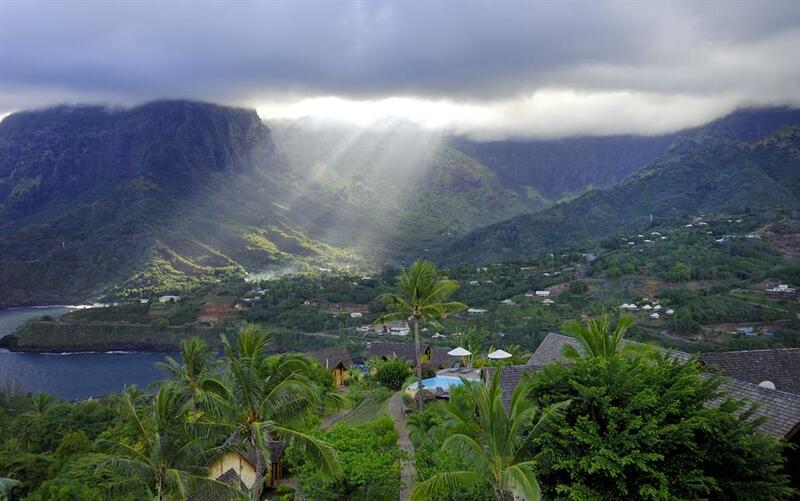 •	Mountain View Bungalow: 420 sq ft. Situated hillside, the bungalows offer views of Mt. Temetiu and the valley of Tehueto. 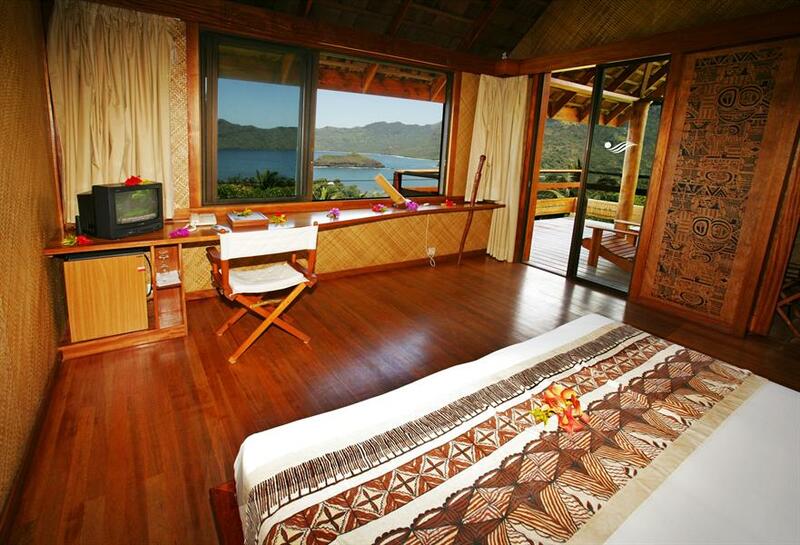 Each is built from local materials offering a traditional Marquesan style. One King Size Bed or Twin Beds. 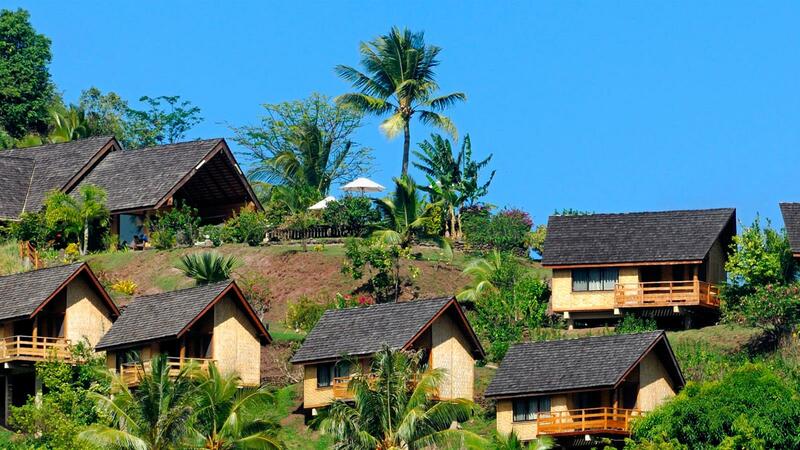 •	Ocean View Bungalow: 420 sq ft. Similar layout as the traditional Polynesian Mountain View Bungalows, the Ocean View Bungalows offer views of the surrounding ocean and bay of Tahauku. One King Size Bed or Twin Beds. 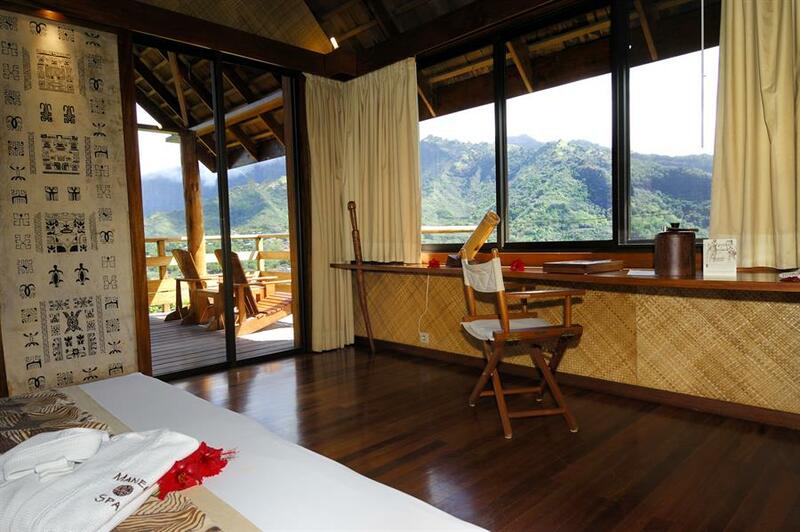 •	Premium Ocean View Bungalow: 420 sq ft. Like the other bungalows, these feature a King Size Bed or Twin Beds, bathroom with shower and a sundeck offering prime views of the surrounding ocean and bay of Tahauku. 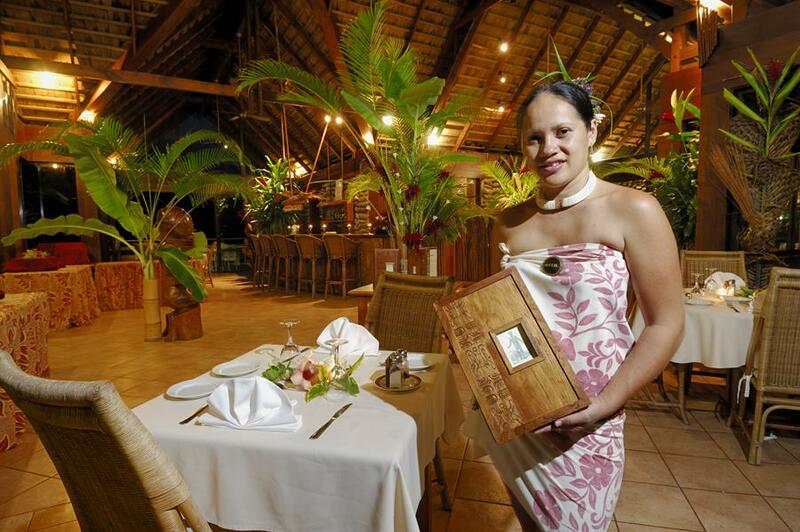 •	Hanakee Restaurant: offering French and Marquesan specialty dishes. 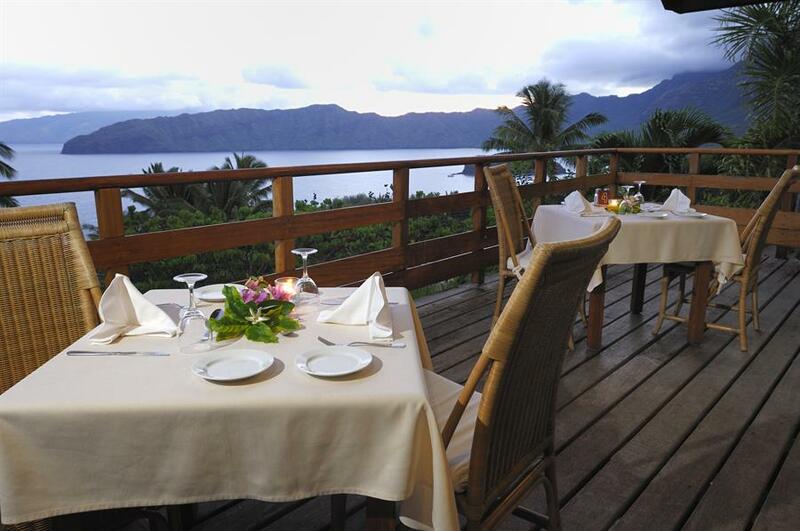 From the restaurant and the bar, guests have a spectacular panoramic view showcasing the breathtaking splendor and wild beauty of the Marquesas. 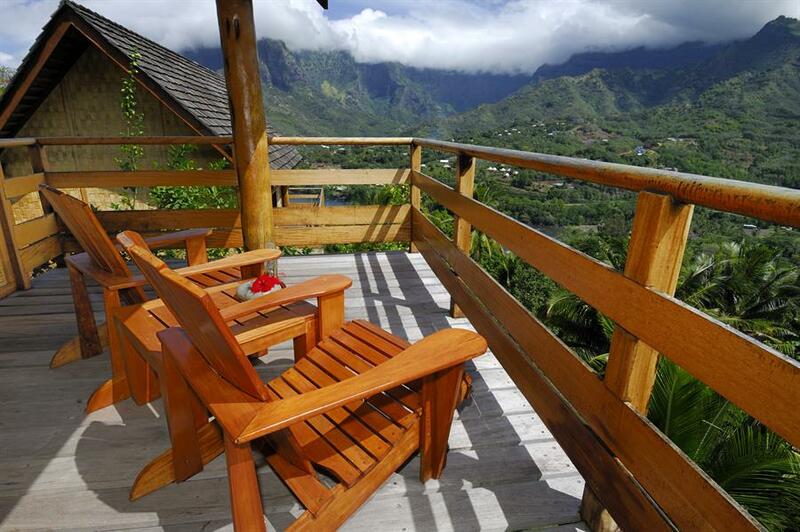 The outside terrace has a swimming pool which also overlooks this scenery and offers the opportunity to have breakfast in the open air and dinner by moonlight. Open Breakfast, Lunch and Dinner. 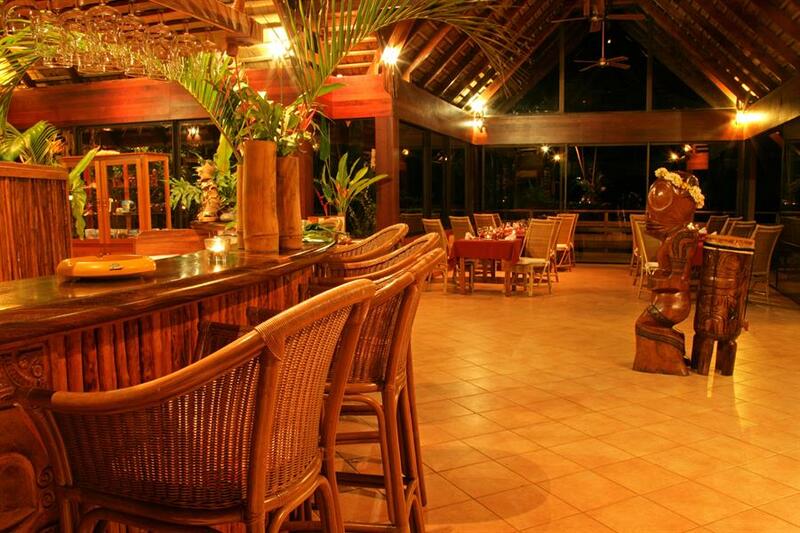 •	Tiki Bar: The poolside Tiki Bar serves tropical cocktails and light snacks from inside the main lodge. Enjoy drinks by the pool or watch the sunset before dinner and catch various dancing and singing shows during the week.